Build the human and organizational capital needed for innovation to support economic growth and development in low- and middle-income countries through programs that strengthen science, technology, engineering, and mathematics (STEM) skills and improve institutions. Stronger investments in science and innovation in developing countries offer promising prospects for increasing competiveness, growth, and prosperity. China and India have seen large GDP gains by linking public science with private business and providing incentives for technological innovation. Across Latin America, governments are creating supportive financing and regulatory environments to incubate innovative start-ups. And since 2013, sub-Saharan Africa has moved up the global innovation index due to investments in technology, stronger institutional frameworks, and deeper integration with markets. The world’s largest radio telescope is being built in South Africa, marking a significant new investment in innovation on the continent. Despite such encouraging developments, many developing countries still lack the individual and organizational capabilities to benefit from advances in science. Barriers to education limit the development of human capital, leading to significant skills gaps. Business and government investment in research and development is low, and when governments do fund research, weak enabling policies and poor coordination with private sector actors limit its application. Without strong STEM education and policy frameworks to drive innovation, low- and middle-income countries will miss opportunities to use technologies to foster accelerated growth. 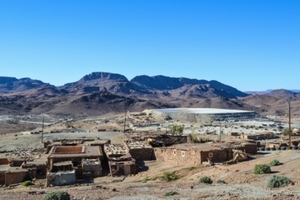 Since the advent of modern excavation techniques, Morocco has become a vibrant mining hub. To this day, the exploitation of the country’s rich mineral deposits has been a key driver of economic growth. The Foundations for Innovation program funds research primarily through competitive calls. Announcements and details on eligibility and thematic focus for funding opportunities will be posted on IDRC’s funding page.